An alliance of right-wing parties won the Danish general election on Thursday evening (18 June), in an extremely close race marked by the dramatic rise of the far-right Danish People’s Party, which became the country’s second biggest political force. The rightist parties consisting of the Liberals, the libertarian Liberal Alliance, the Conservatives and the Danish People’s Party won the 90 mandates necessary to have a majority in the Danish parliament. Lars Løkke Rasmussen, the leader of the Liberals, has the backing of the other opposition parties and is expected to become Prime Minister. Although the Social Democrats became the biggest party in Denmark, with 26.3% of the votes, the left-wing government of outgoing Prime Minister Helle Thorning-Schmidt suffered a bruising defeat as their coalition partners, the Social Liberals, only received 4.6%. Voter turnout ended at 85.8%. But the biggest winner of the night was the anti-immigration and Eurosceptic Danish People’s Party, which scooped 21.1% of the votes, up from 12.3% at the last general election in 2011. This makes them the second-biggest party overall, after the Social Democrats, and the largest of the opposition parties, ahead of the Liberals. However, it is unlikely that party leader Kristian Thulesen Dahl will become premier, as the other opposition party leaders are backing the Liberal’s leader, Lars Løkke Rasmussen. Rasmussen was Danish prime minister between 2009 and 2011 without being elected, as he took over from Anders Fogh Rasmussen, who was appointed NATO Secretary General. It was still unclear whether the Danish People’s Party will join a liberal minority government shortly after the election result was confirmed. Thulesen Dahl has stated many times that he does not wish to take on this kind of responsibility, saying populist parties across Europe which have entered government generally suffered a big decline in polls afterwards. Thulesen Dahl said his party still wants maximum influence with its mandates. For ten years, between 2001-2011, the party supported a right-wing minority government and was able to almost singlehandedly dictate Denmark’s immigration policies. Some observers guess this could be what Thulesen Dahl is aiming for again. “I really had to pinch myself several times tonight because this election result is so unbelievable,” he said. The Danish People’s Party has already become influential on Denmark’s EU affairs policies. During the election campaign, the otherwise pro-EU parties, the Liberals and the Conservatives, suddenly announced that they had agreed with the Danish People’s Party to have a Eurosceptic approach to the EU, openly backing British Prime Minister David Cameron’s call for reform. In the European Parliament, the Danish People’s Party is part of Cameron’s political group, the European Conservatives and Reformist (ECR). The far-right party is aligned with other ECR members in their opposition to the EU becoming a “social union” exposed to what they call “welfare tourism”. At national level, party leader Thulesen Dahl said he will ask for stricter border controls in exchange for supporting a right-wing government, going against the Schengen agreement of a borderless Europe, of which Denmark is a member. Though the Danish People’s Party is Eurosceptic and opposed to further European integration, and joining the euro, it does not want Denmark to leave the EU. An in/out referendum on EU membership, like Cameron has proposed for Britain, is therefore highly unlikely. However, it appears the new Conservative-Liberal alliance has a clear backing from the Danish population for a more restrictive approach to European policy. While close EU cooperation was the norm under the previous Prime Minister, Helle Thorning-Schmidt, she lost her lead in the polls when opposition parties announced they would drastically change Denmark’s EU policies should they win the election. For Thorning-Schmidt, the defeat must be particularly bitter. While her Social Democrats grew for the first time since 1998 and became Denmark’s biggest party, she nevertheless decided to step down as leader of her party. “My ambition was to keep Denmark on a safe path economically and we are now ready for solid economic growth and we also wanted to bring more solidarity. We have led a good campaign and, yes, I took some selfies along the way,” she told party members after the election. “Leadership also means stepping down at the right time,” she said. “I’m proud of what I have achieved and the results have shown. I was Denmark’s first female prime minister and you know what? I won’t be the last one. To all girls and young women, I want to tell you to always reach out for the opportunities that come along,” she added. Thorning-Schmidt may have thought of Justice Minister Mette Frederiksen when she said that. 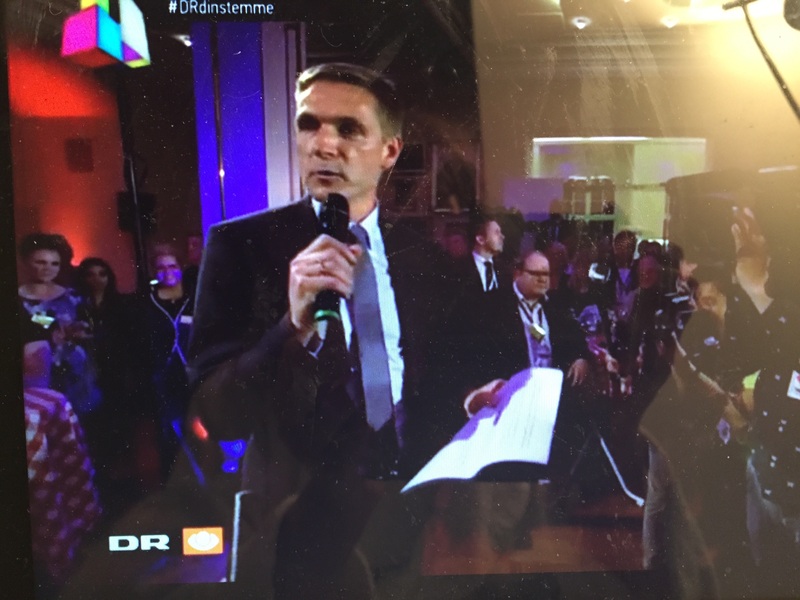 Political commentators are expecting that Frederiksen will be announced as the new leader of the Danish Social Democrats already this Saturday. Meanwhile, Liberal leader Rasmussen’s honeymoon period with the Danish electorate could prove to be short-lived. Rasmussen has grown unpopular in Denmark, following several expenses scandal involving himself and hsi family over the yeats..
On election night, he appeared to be quite uncertain of what his new minority government will look like, but said he was “full of energy and ready to work hard for more economic growth and welfare everywhere in Denmark”. Prime Minister Helle Thorning-Schmidt, from the centre-left Social Democrats, on 27 May called a general election, to be held on 18 June. Four years ago, Thorning-Schmidt became Denmark's first female prime minister. While the right-wing opposition parties led in the polls for years, the gap has narrowed quickly in 2015. While many Danes support the right-wing parties' economic views of lower taxes and a smaller public sector, as well as tighter immigration policies, opposition leader Lars Løkke Rasmussen is not popular. Denmark was hit hard by the global financial crisis because of the housing bubble. But four years of unpopular reforms have allowed Helle Thorning-Schimidt to present a growth forecast of 1.6% next year. 19 June: Government negotiations to start in Denmark.